I love engagement sessions! We're always able to connect with our couples and really get to know them in a way that probably would not be possible any other way. That was the case with Claudia and David. During our initial meeting we were able to tell that they are a great couple, but during their e-session we really found out how awesome they truly are! 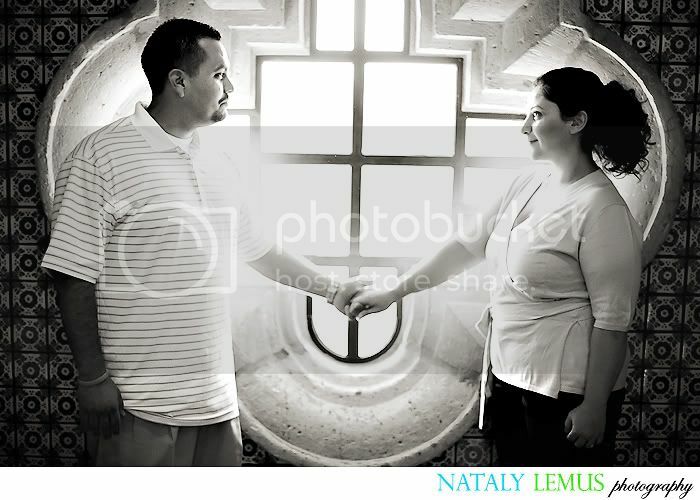 Claudia & David, thank you so much for showing us around your town :) You guys totally made my day during the e-session. You were so fun to be around and talk to. We enjoyed it and can't wait for the wedding! 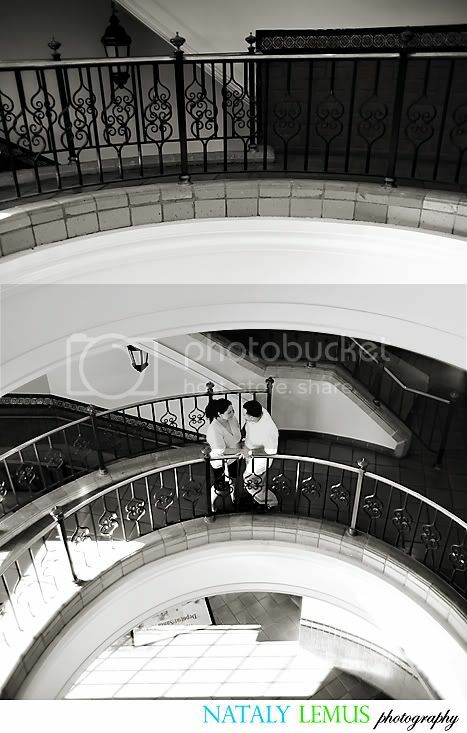 Whenever I do one of the shots below, I talk to the couple like they can actually hear me. It happens every time! "Hold it, hold it, just one more second..."
The light towards the end was perfect! as always AMAZING work Nataly! I love the kissing one you took through the glass!! How exciting! Claudia & David are one of my couples so that means I'll finally get to work with you! lol If their wedding pics are as beautiful as this set of photos we are all in for a real treat :) I adore their smiles!